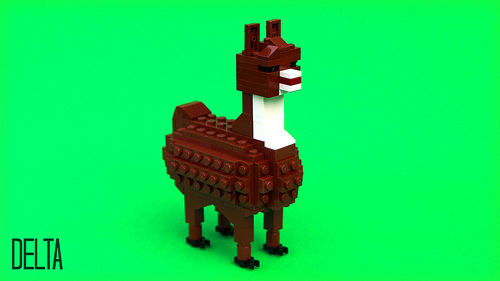 I thought the adorable love llamas we blogged a couple weeks ago looked a bit like alpacas, but who am I to split the hairs of a South American camelid? Still, this lovely llama by Delta (itself inspired by delayice’s pair) has a certain fuzz factor thanks to the studs-out construction that I can appreciate. 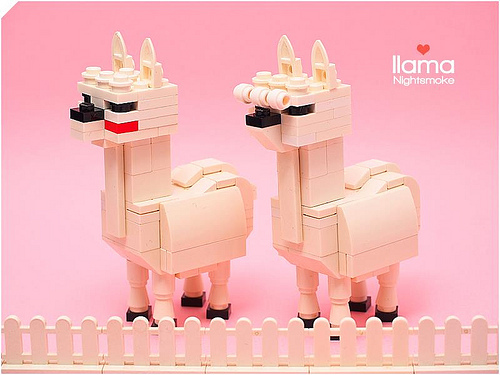 “Love Llamas“, for all you lovers out there on a Saturday night. Thank you delayice.